City directories for genealogy might not have been on your radar. However, they can be an amazing tool for piecing your ancestor’s family together…especially if there has been significant loss of vital records in your targeted area. There’s far more information in them than a name and address. Read further to find out! We might look at a city directory as a type of phone book of the past. Now, I have just aged myself because I am sure many of our young readers don’t remember the phone book! Even though the early city directories didn’t contain a phone number, they did record names, addresses, business ads and listings, similar to our more recent phone books of the past. According to FamilySearch Wiki, there were city directories (or something similar) in the United States as early as the 1790s. 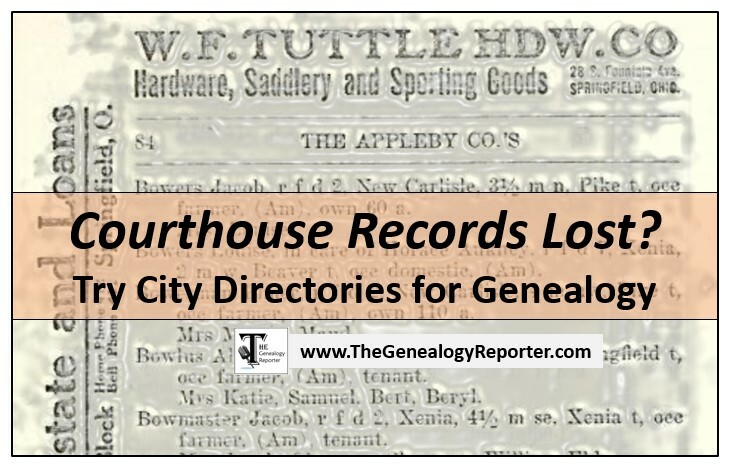 There was a significant increase of published directories by 1870 and by the 1900s, many major cities and towns of America published a city or rural directory. Name of all adults in the home and occasionally, all children in the home by name. Relationships. For example, it may indicate who the wife is or if the individual is a widow. Addresses. Not only will the directory usually indicate where they currently lived, but on occasion a directory will list where a person moved to with a forwarding address. I am always looking for ways to piece a family back together, especially when there has been a significant loss of records in my targeted area. Fire, war, water damage, and theft are just some of the reasons for loss of vital records. Not only are we concerned with loss of records, but also lack of records. For example, Ohio has only federal censuses which were taken every decade. Sadly, Ohio just didn’t take any state censuses to fill in those middle years. But by using city directories, we may be able to fill in some of those 10 year gaps. Another benefit of city directories is to bridge the 20 year gap many of us have due to the loss of the 1890 federal census. Let’s look at an example of a city directory used for genealogy research purposes. This is a page from the Springfield, Ohio City Directory for 1906, page 162. My great-grandparents are listed as George Bowser and wife Lillie. By this time, they had six children, however none of the children are listed. Perhaps that was because it cost a bit more money to have all the persons in your family listed by name in the directory. Just beneath George is William Bowser, my great-uncle. 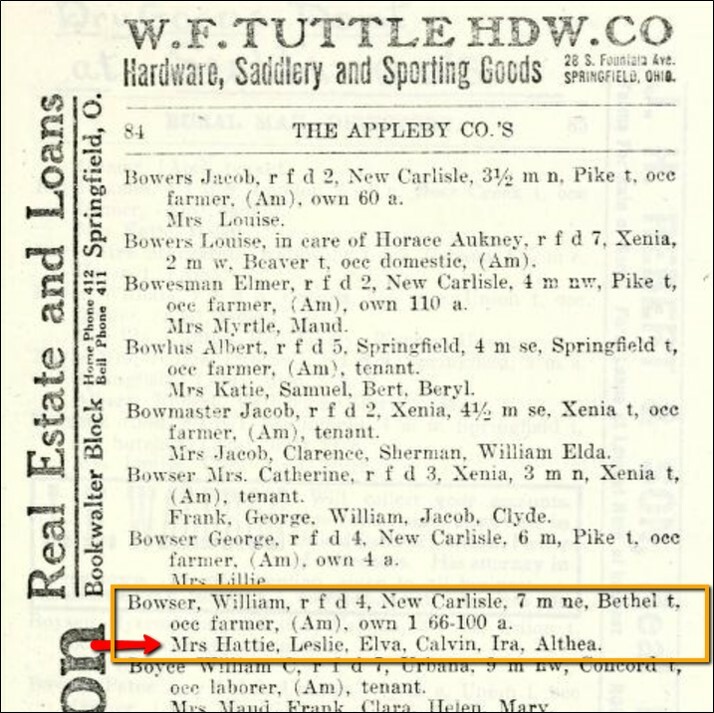 Here you see William’s wife Hattie is listed, as well as their children Leslie, Elva, Calvin, Ira, and Althea. Let’s pretend the 1900 census held the names of children Leslie, Elva, Calvin, and Ira. Then, in 1905 Althea was born. Continue to imagine with me that Althea dies in 1908. She would have never appeared with her family on a federal census. I would like to think because of exhaustive research, I would have found a record of her birth or death, but what if I hadn’t? What if the county courthouse had burned and all those records were gone? Now can you see the value of this 1906 city directory? When did our targeted couple marry? We can’t find a marriage record. However, a directory for 1932 names the man as a grocer. No wife named. In 1933, we find him in the same area, but this time a wife is listed by name. Now, we have narrowed down the year of their marriage to 1932/1933 time frame. We are unsure of when our ancestor died. Death records for that time frame were lost in a courthouse fire. Sadly, we can’t find where he was buried either. Checking the city directories, we learn that his widow is listed and the date of his death is given as 7 July 1937. We have conflicting dates of the arrival of our immigrant/emigrant ancestor to the United States/a specific state. Using the yearly city directories, we find our ancestor first appears in a city directory for Charleston, South Carolina in 1874. Though this may not be the exact year of his/her arrival, we have narrowed the year of arrival down and can begin researching further in that locale. There are a far cry more than four places or ways to find city directories online! However, I found these to be the more user friendly options. Internet Archive . This free, online book repository has many city directories available for you to view. It is not as user friendly as some other options, but their collections are quite extensive. Once you get to the website, simply type in your targeted area in the search field. If available, a digital image of the city directory will appear. You can do a search within the book for a specific surname. However, I would suggest looking through page-by-page as well. Ancestry.com. Ancestry.com is a subscription website. However, if you have a subscription or can use it at your local library, it is one of the easiest and fastest ways to find a targeted ancestor in a directory. Their collection titled “U.S. City Directories, 1822-1995” can be searched by name, place, and year. LDSGenealogy.com. LDSGenealogy.com is a website where you can browse state collections such as city directories. This site works more like a resource list. In other words, you can search by state and county and it will link you to other sites that have the directories available. Dons List. Donslist.net has a nice list of U.S. city directories available online for free. Though the collection is small compared to Ancestry or Fold3, it might be well worth your time to see if any of them are for your targeted research areas. 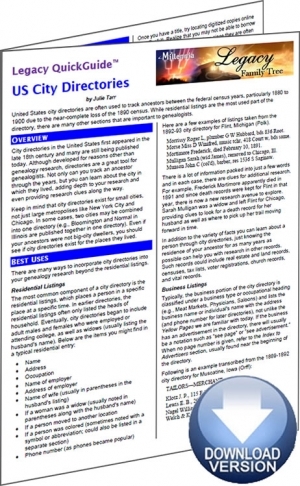 I have just scraped the tip of the iceberg on the benefits of city directories for genealogy. 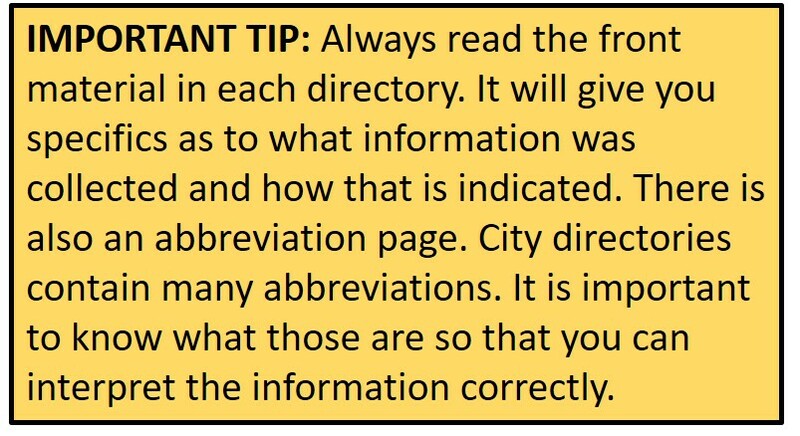 If you would like to learn more, I would suggest watching the webinar titled “Direct Your Research with City Directories,” by Maureen Taylor. You can find that on Legacy Family Tree Webinars. Also, there is a wonderful Quick Guide now on sale for $2.67 that covers everything you need to know about U.S. City Directories. 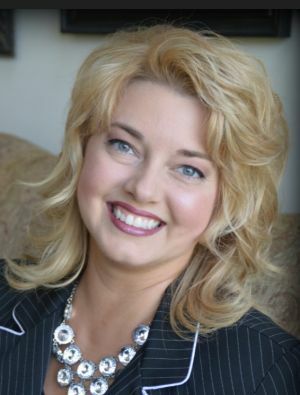 The Genealogy Reporter has an affiliate relationship with Legacy Family Tree Webinars and Ancestry.com. Links contained in this post are affiliate links and will result in a commission being paid to The Genealogy Reporter. Excellent post. I would add that usually the directories are poorly indexed, so you need to be prepared to browse through images to see if the ancestor you want is there. Another use is to see who else is living at the same address. Often I have proved a relationship by finding a brother-in-law, or nephew that I’m not sure is the right person, living with a verified ancestor. Generally a city directory will contain an alphabetical list of citizens, listing the names of the heads of households, their addresses, and occupational information.